Weddings (and Civil partnerships). They are imbued with superstition and tradition in a way few other celebrations are, and the biggest tradition of all seems to be that each new generation will pay more for their elaborate day than the next. I was prompted to write this following a news paper article (I use the term 'News Paper' loosely - it's the Daily Fail) in which a couple we poorly treated (by mistake) by a potential venue choice. The slight affront to the couple was upsetting, but as I joked on twitter – maybe the venue was right, after all – who sells their story to the Daily Mail! I’ve heard people say they wouldn’t marry ‘because of the expense’ but getting married is cheap! And quick, and fairly fuss free, it’s the reception that costs the money, the cars, the suits, the hire of venues. I was married 20 years ago, we had a rather fabulous party afterwards in PizzaExpress. The staff were delightful, decorating the restaurant, sending us a card, and waiting on us hand and foot, everyone ordered from the usual menu, we ate, we drank champagne we had a great time. 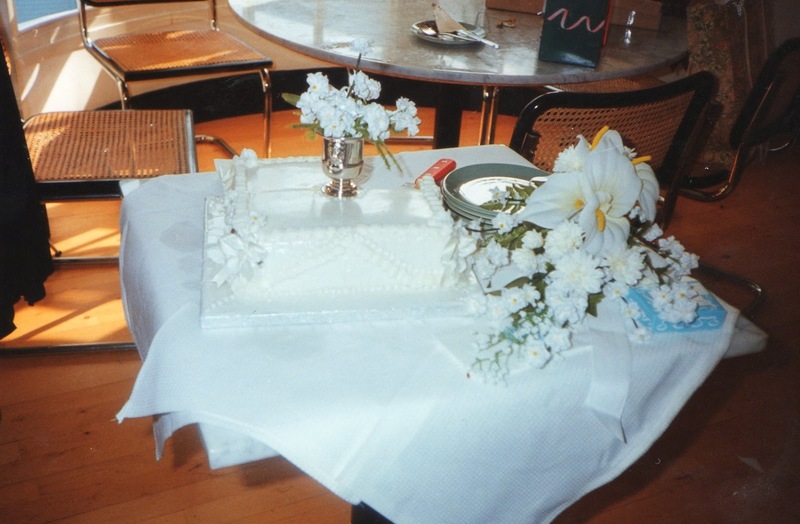 My grandmother made the cake and organised the flowers. When we settled the bill, it was less than £200, and even at today’s prices I bet it would be less that £30 a head including drinks. Surely wedding receptions are just parties, you invite family and friends to have a nice time, to share your joy. I don’t know about your friends, but mine are not hanging round for the money and the free drink (just as well – they’d wait a long time) they are my friends, tea and cake in the back garden, drinks at a pub, a picnic in the woods, all would be fun with my friends. Now it’s true a wedding is a big event, and yes ideally it should only happen once in your life (stop laughing cynically at the back! If you assume it will happen multiple times it makes all this fuss far far worse!) But getting married should be about a lifetime, not a day. You will remain married for years and years. Waking on the first day of your married life to a heap of expensive presents might be nice, but a debt? Or the debt of your parents? Or the knowledge that you could have paid off a chunk of mortgage but can now barely afford a holiday next year, or at all…. Who are you getting married for? Why are you getting married? I suggest that if you are having a big party for ‘family’ or ‘your mum’ then it’s a mistake. If you are getting married because ‘you want to wear a wedding dress’ or ‘you want a big party’ then it’s a mistake. A marriage is a public declaration of love and commitment, and a legal document to confer some rights, people should marry because they want to marry. I read somewhere once that ‘the length of the marriage is inversely proportional to the amount of money spent on the wedding” I have no idea if that’s true, I doubt it is really but it sounds like the sort of superstition or tradition we should consider adopting.